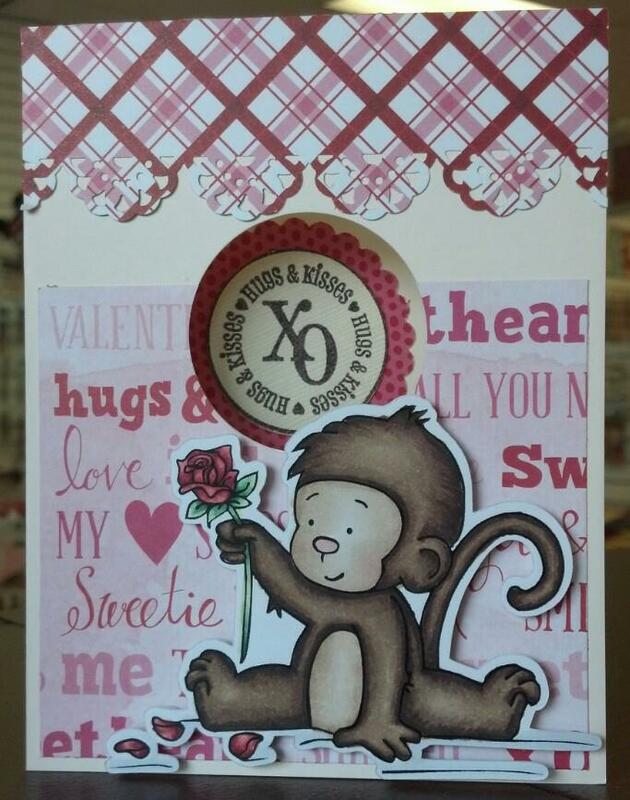 Our good friend Sharon has been playing around with our Scrap Happy exclusive Valentine stamp sets! They are all available for sale in store and online HERE so stop on over and grab them up before it's too late! 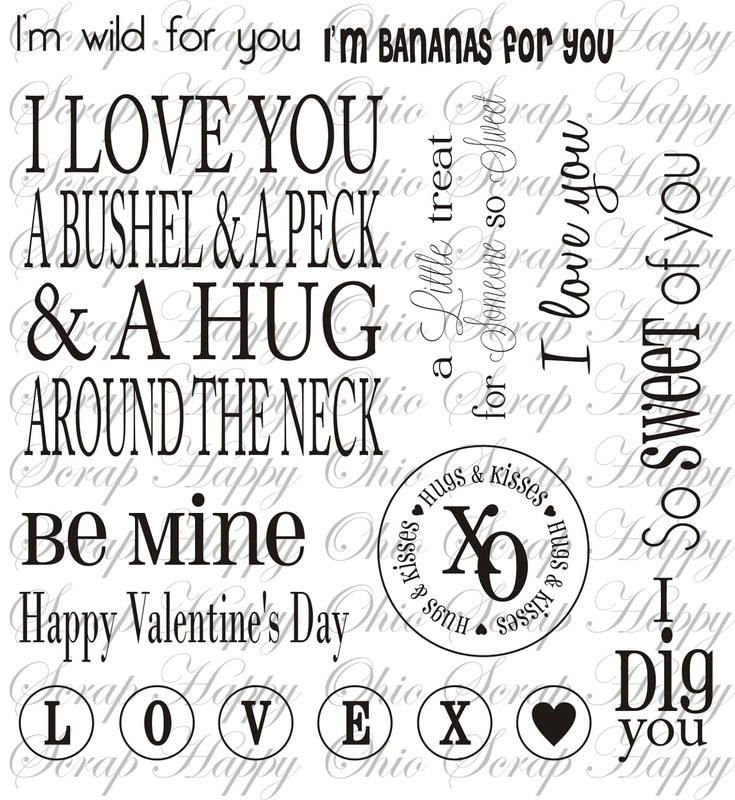 We also still have a couple of our exclusive, adorable Valentine's card kits HERE. 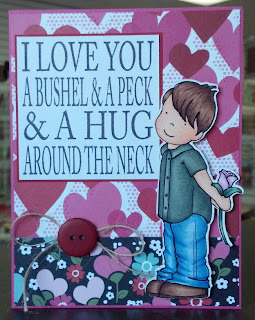 Less than 3 weeks until the big day so if you haven't already, get your supplies and get started making your Valentines:) We also have tons of gorgeous Valentine's papers and supplies in store! Aren't they precious! Thanks Sharon! As always, have a Scrap Happy Day! P.S. Don't forget Garage Sale days are still going on and Susie's 25% off Birthday sale goes through Thursday! Scrap Happy is introducing a brand new kit to its amazing line-up of kits. 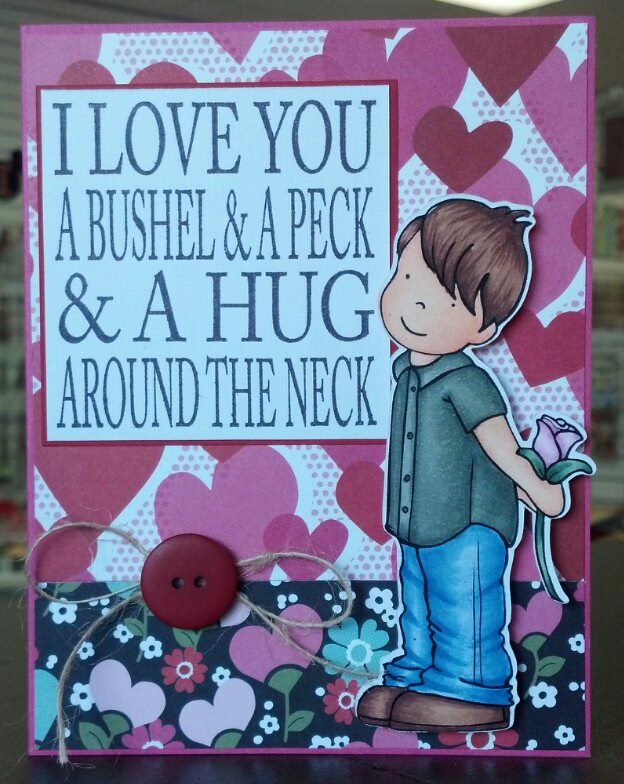 This is a no commitment kit, carefully selected and put together for your inspiration by our illustrious owner, Susie. She put her heart and soul into this kit and it shows. 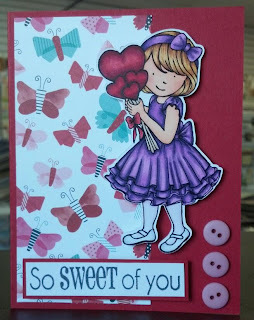 One of the most exciting elements of this kit, besides its exclusivity, it the beautiful and versatile Scrap Happy exclusive stamp set that is included. You will find this NO WHERE else but Scrap Happy. 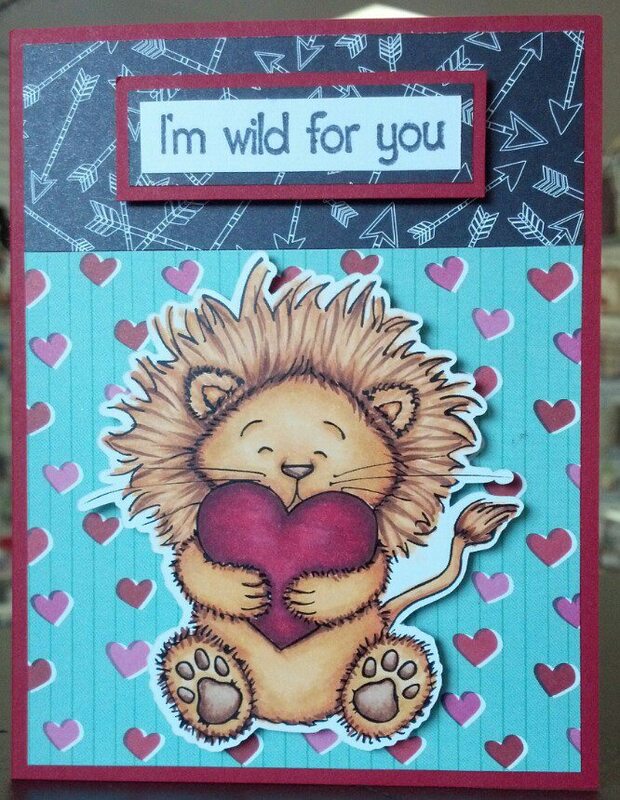 It can be purchased separately HERE, but you will WANT, no, NEED this kit in your collection. 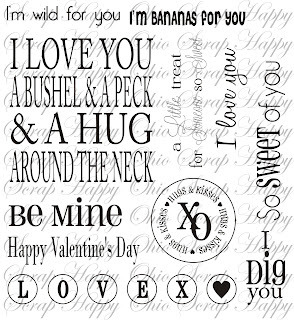 Besides the amazing stamp set, it includes an amazing amount of goodness, you will also receive 10 6x6 double-sided papers, 1 sheet of mini love notes with adorable mini envelops & washi tape, all from Doodlebug; a yard of Maya Road Baker's Twine in two different colors; exclusive Scrap Happy buttons as well as a set of 10 cards & envelops in Wild Cherry, Blue Raspberry, Cotton Candy, & Razzle Berry. 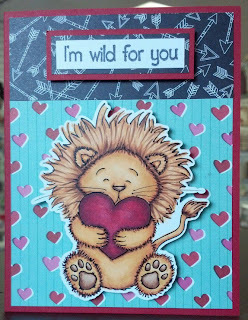 Not only that but you will get a full color idea sheet with examples of ALLthe adorable things you can do with this kit. There is NO commitment, just your undying love. This is a $40 value for only $30. Limited quantity available! Stop by the store TODAY, or purchase online for pick up or have it delivered to your door! BUY HERE before it's too late! 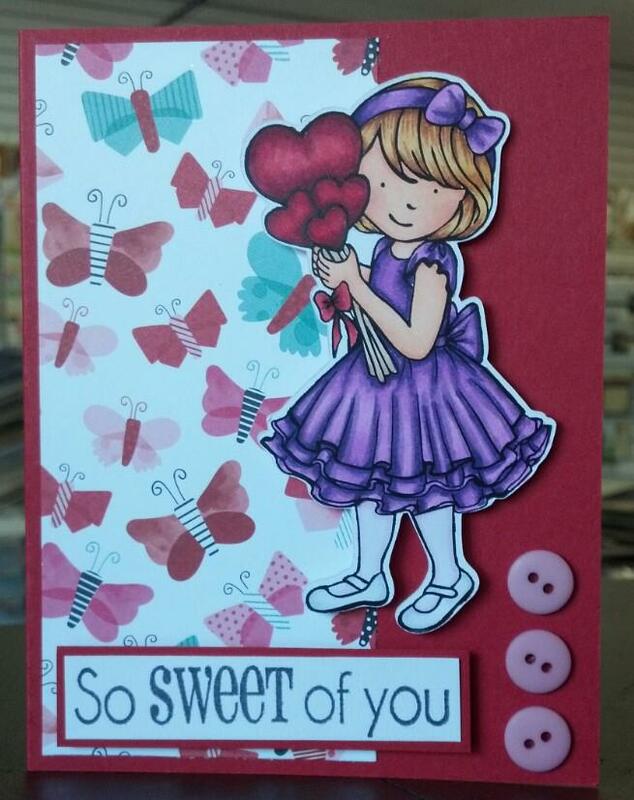 Here are some examples of the beautiful things you can do with this kit!